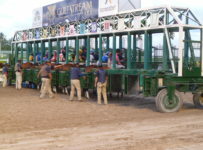 The field is almost set for this Saturday’s 143rd Kentucky Derby. 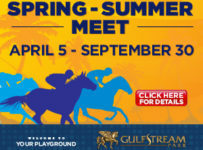 HorseRacingFLA.com is proud to announce that the field will have one of this decade’s largest and strongest groups of horses that have raced at either Gulfstream Park or Tampa Bay Downs. 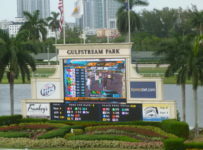 In Kentucky Derby handicapping, and learning about “who’s running,” extensive knowledge of Florida racing is essential. 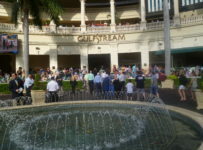 At HorseRacingFLA.com, we provide the critical knowledge that you need. 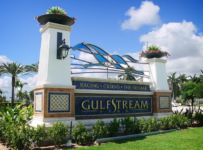 Our team of experts, Jim Freer, covering Gulfstream, and Bob Bauer, based at Tampa Bay Downs, offer up-to-the-minute breaking news and analyses. 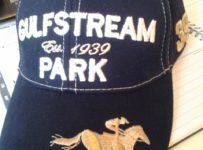 We also have a track record of making a profit in each of the three years that we have recommended bets on the Kentucky Derby. 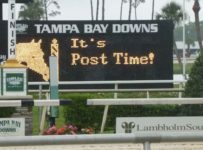 For the three years combined, we used a “betting on a budget” and hedging strategy, to make $184.00 in bets. Our total return was $319.95 for a 71 percent return on investment. Anyone who made our bets five-fold would have wagered $920.00 and collected $1,599.75. 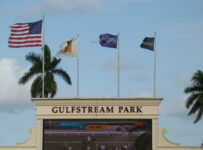 This week, HorseRacingFLA.com also will cover the Kentucky Oaks (Grade 1) on Friday and other Churchill Downs stakes, with a focus on horses that raced in Florida this year. 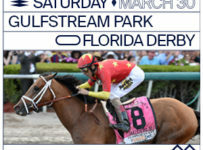 For horse racing breeders, enthusiasts, and fans, there is no better time than Derby week to keep surfing back to HorseRacingFLA.com for racing news and analysis. Sign up for your free Subscription now and receive daily e-mail news feeds. This also is an ideal week to subscribe for free and become a subscriber to receive our daily e-mail news feeds. Subscribe for FREE by visiting this link-box: Feedburner for HR FLA We collect your e-mail address only. 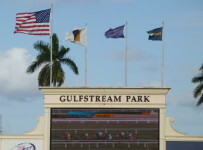 You will receive most racing days our stories and racing analysis. Remember to confirm your information through your e-mail address to get it started. 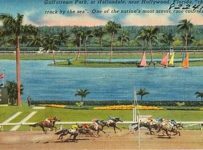 Even if you are a not a subscriber, we suggest that you visit HorseRacingFLA.com several times a day for news as it breaks. 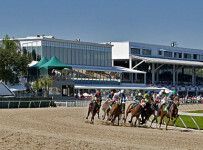 The post position draw for the 143rd Kentucky Derby will be at 11:00 a.m. Eastern Standard Time (EST) on Wednesday. We will have a report on Wednesday afternoon. 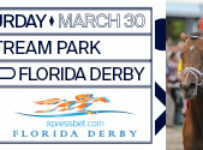 At approximately 2:00 p.m., Eastern on Saturday, we will post our predictions and recommended bets for the Kentucky Derby. 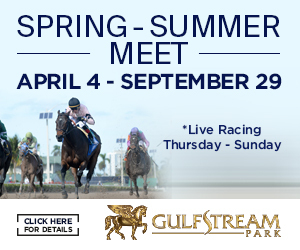 COMING TONIGHT: Short details from Jim Freer on Florida horses that will be among favorites – McCraken, Irish War Cry, Gunnevera, Classic Empire, Always Dreaming. 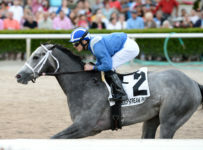 Subscribe Now or Log on to HorseRacingFLA.com for all the latest exciting Derby news!